The availability of ICSI has made it possible for men who previously would have been thought of as impotent because their sperm were too weak or too few to impregnate their wives through in vitro fertilization. This is no different from regular IVF with normal sperm. This technique is very cost-effective, and will give you the same high chance for getting pregnant as any couple with normal sperm. In fact, we perform ICSI at no extra charge for all of our IVF cycles to obtain better fertilization rates and better results even when the husband’s sperm count is not impaired. Often, a single, almost non-moving sperm can be retrieved and injected into a woman’s egg, developing into a healthy embryo and a completely normal baby. So far, over 100,000 babies have been born with this technique, and the babies have grown up to be physically, mentally, and genetically normal, no matter how poor original sperm samples were. In some cases, we can even perform a testicle biopsy, remove a few sperm and, using a highly refined ultra-micropipette, inject it into an egg for a successful ICSI. ICSI is a very effective procedure used in conjunction with IVF. This is why at New Hope Fertility Center ICSI is considered a standard practice of care during IVF. 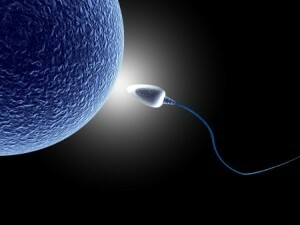 Typically, between 75 and 85 percent of eggs injected with sperm become embryos. Those embryos may then be transferred directly into the mother or stored for use during a future Frozen Embryo Transfer cycle. Dr. John Zhang can increase your chances of pregnancy through IVF using the medical technique of ICSI. Schedule your initial consultation with Dr. Zhang by calling 917.525.5496.